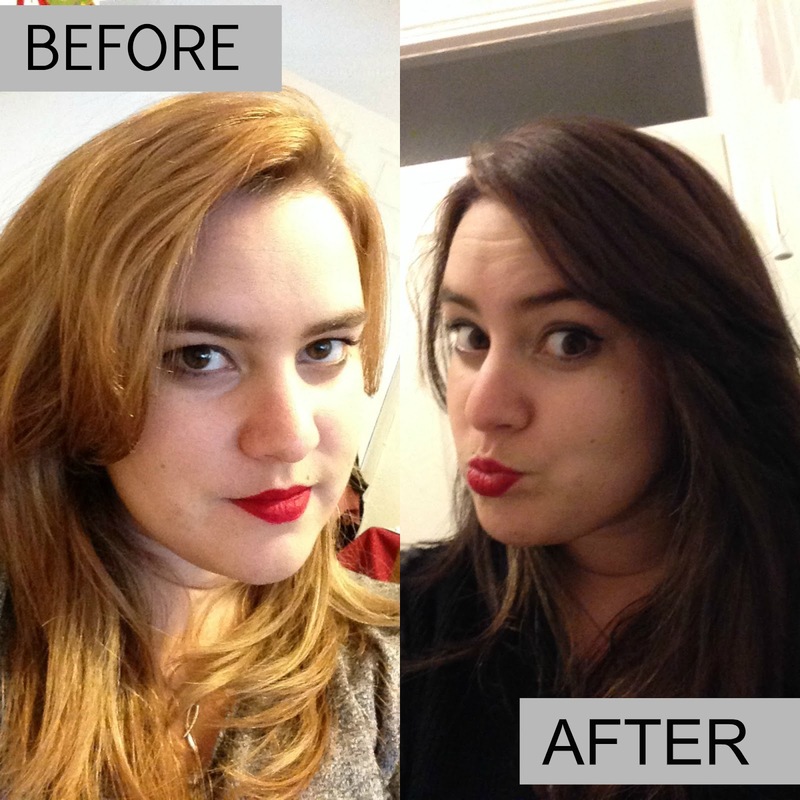 The majority of the time I've had this blog my hair has definitely been on the lighter side. While it stayed natural for a while to give it a break I then got back into highlights when I went and chopped my hair into a bob nearly two years ago. Since then it's been regular visits to top up the blonde. However, I felt like it was time for a change. If you read this post you'll know I've had a lot happening this year. especially in the past couple of months and it felt like a whole new chapter of my life was starting and I think I wanted something to really signify this. To start with I played a little and got a bit of red colour put into the blonde, it was okay but if I'm honest I wasn't 100% happy with it. So last time I went I decided to just go for it and went full on dark. I've been light for so long it was a bit of a shock when it dried and if I'm hoenst, it was darker than I was hoping for. However now it's had time to settle and fade a little from washes I couldn't be happier with it. I'd asked for some lighter bits to be put through the front which I love and I think I'll be asking for some more to be put in next time as well as it really helps to lift it. What about blondes having more fun? Sure, probably! However I have huge responsibilities now and it was time to grow up, and this colour - as silly as it may sound to some - was my way of signifying this and drawing a line between who I was before, and who I am now. Who knew a hair change could signify so much?! Do you think such an artificial change can signify something much bigger?